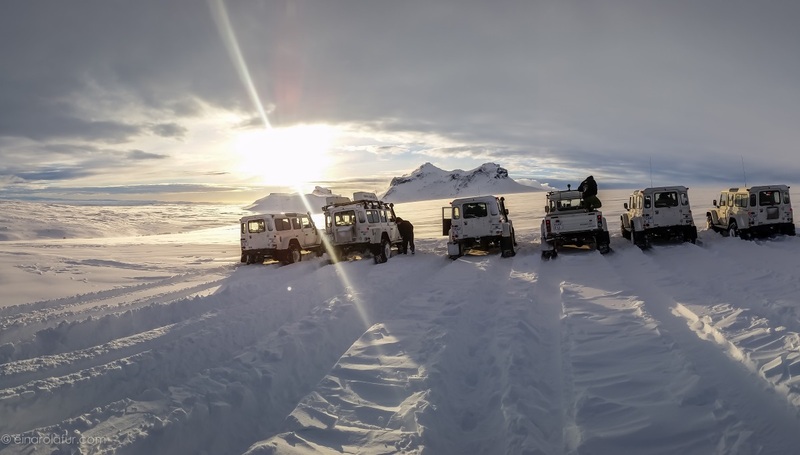 ISAK 4x4 Rental offers a variety of 4x4 tours & packages in Iceland. The tours are ideal for both groups and individuals, all year round. The tours range from one day excursions, to longer tailor made highland journeys and overland expeditions, and you can choose between self-guided packages or guided convoy tours. Tours and vacation packages can furthermore be combined with 4x4 driving instruction and other activities. 1. Self-guided packages: organized by Ísafold Travel and include rental of one of our 4x4 trucks (in the Overland and Expedition categories), your route planning with a detailed itinerary and GPS coordinates, as well as accommodation. Activities can be added additionally, if desired. Check out all available tours on the Ísafold Travel website or request a tailor-made proposal. 2. Convoy tours: where groups can book multiple vehicles with a guide leading the way in the guiding vehicle, and the group members test their 4x4 skills on highland tracks. All our tours can be tailored to fit your needs in terms of time and itineraries. We will arrange for guides, support drivers and vehicles, accommodation, activities and travel assistance upon request. All our vehicles are customised for highland tracks and river fording, so you can get the most out of your visit to Iceland. You can choose between slightly altered vehicles or choose fully modified Land Rover Defenders on 38" tires. More information about our tours and packages can be found on the Ísafold Travel website or by contacting us via email [email protected]. Guided Convoy Tours are an activity that is ideal both for individuals and groups. Participants drive fully modified ISAK Super Defenders on their own, which is a fantastic experience in itself. However, they are all the time under the guidance of a thoroughly experienced driver guide in a leading vehicle, as the safety of all clients is paramount to us. The professional driver-guide leads the group and guides the group through VHF radio, which all the vehicles are equipped with, and for larger groups a support vehicle is added for added security. Groups can contact us for prices and further information about our guided convoy tours on [email protected] - these can be 1 day tours, or longer tours. For individuals interested in booking into a convoy tour, we recommend you have a look at the scheduled 4×4 Self-Drive tours of our sister company Ísafold Travel. They offer self-drive tours from 2 to 8 days in length.